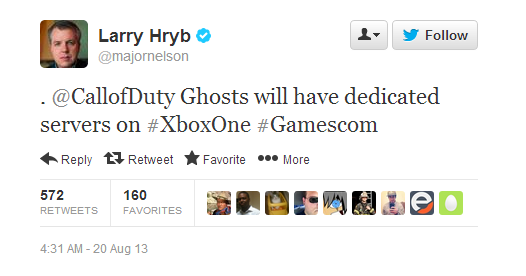 At Microsoft's Gamescom press conference, Infinity Ward confirmed that Call of Duty Ghost will have dedicated servers on the Xbox One, What does that mean? It means that not only Ghost will be the newest and best Call of Duty in the franchise and users will have a lag free experience on Xbox One. An Activision spokesman stated "Ghosts will use the Xbox One's cloud computing capabilities to host dedicated servers". He also explained and showed off a brief clip for a new mode in the game called "Blitz mode" during the Gamescom conference. Oh and if your from Europe get excited because He also announced that Europe will be getting a premium Call of Duty: Ghosts Xbox One bundle that comes with the console and the game, as well as some additional "bonus content." It is no secret that Microsoft are pushing their new Cloud technology to developers hard, we have seen some impressive features to come from the new tech Microsoft are utilising such as the matchmaking features in Forza 5. 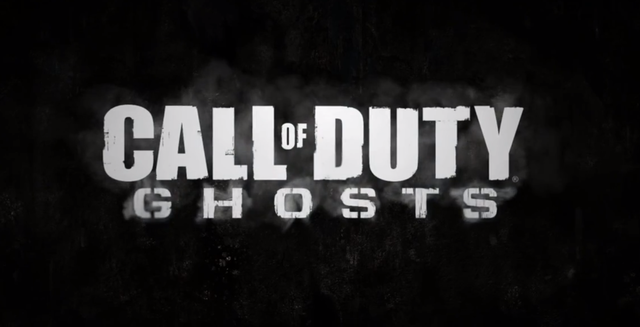 Call of Duty: Ghosts will hit shelves on the 11th of November for Playstation 3, Xbox 360, PC and for the Wii U, currently the Playstation 4 and Xbox One release dates are to be announced.